Foreign investment involves capital flows from one country to another, granting extensive ownership stakes in domestic companies and assets. Foreign investment denotes that foreigners have an active role in management as a part of their investment. Foreign direct investments can be made in a variety of ways, including the opening of a subsidiary or associate company in a foreign country, acquiring a controlling interest in an existing foreign company (minimum 10% ownership stake in a foreign-based company , it is flexible in some special cases in which firm can be established with less than 10% of the company’s voting shares) or by means of a merger or joint venture with a foreign company. 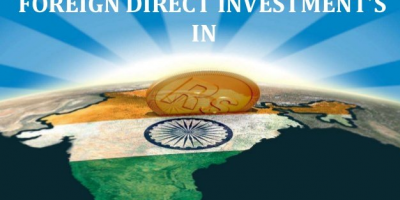 Automatic route: FDI is allowed without prior approval by Government or Reserve Bank of India. However, they have to inform the RBI about the amount of investment within a stipulated time period. 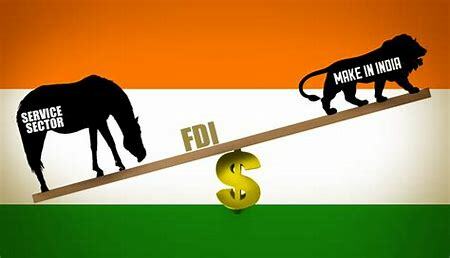 Government route: The application needs to be made through Foreign Investment Facilitation Portal, processing is done by the concerned Ministries/Departments followed by decision of the Government under the extent FDI policy. 1. Floriculture, Horticulture, Apiculture and Cultivation of Vegetables & Mushrooms under controlled conditions. 2. Development and Production of seeds and planting material. 3. Animal Husbandry (including breeding of dogs), Pisciculture, Aquaculture. 4. Services related to agro and allied sectors. 1. Tea sector including tea plantation. 1. Mining and Exploration of metal and non-metal ores including diamond, gold, silver and precious ores but excluding titanium bearing minerals and its ores. 1. Exploration activities of oil and natural gas fields, infrastructure related to marketing of petroleum products and natural gas, marketing of natural gas and petroleum products etc. 2. Petroleum refining by the Public Sector Undertakings (PSU), without any disinvestment or dilution of domestic equity in the existing PSUs. Above 49% under Government route in cases resulting in access to modern technology in the country. 1. Publishing of newspaper and periodicals dealing with news and current affairs. Publication of Indian editions of foreign magazines dealing with news and current affairs. Local sourcing norms will be relaxed up to three years and a relaxed sourcing regime for another five years for entities undertaking Single Brand Retail Trading of products having ‘state-of-art’ and ‘cutting edge’ technology. 10. Mass Rapid Transport Systems. Above 49% & up to 74% under Government route. Automatic up to 49%. Above 49% & up to 74% under Government route. 1. Airports: Green Field Projects & Existing Projects. Trading, including through e-commerce, in respect of food products manufactured or produced in India. Real Estate Business or Construction of Farm Houses (Real estate business does not include development of townships, construction of residential /commercial premises, roads or bridges). The World Bank’s Doing Business Report 2018 ranked India 100th out of the 190 countries surveyed. The thickening of India’s position in world’s economy is the outcome of contribution of 29th states. In specific, Maharashtra’s contribution cannot be overlooked. Maharashtra is the backbone of Indian economy. If India grows at 8 percent than astonishingly Maharashtra growth would be at least 10 percent as it is gravitational centre of the country. 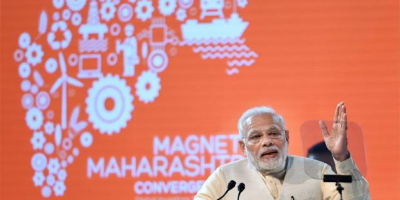 One of the factors that has made the state’s position so powerful is its strong infrastructure, an ideal destination for setting up of industries. Maharashtra alone contributes 27% of total exports in India. Being the biggest contributor to India’s GDP 15%, Maharashtra has always remained in the forefront of country’s economic development. The state attracts the highest FDI in the country; 30 percent of the total FDI inflow. According to the DIPP, cumulative FDI inflows in the state of Maharashtra during April 2000 to March 2016 stood US$ 82.62 Billion. The state government has approved 18,709 industrial proposals during 1991-92 to 2014-15. One of the government organisations supporting Maharashtra’s exemplary performance & be a backbone of Indian economy is the project MIDC (Maharashtra Industrial Development Corporation) , established in 1962 with a prime objective of Prosperity to all through Industrialization. The planned and systematic industrial development in the State of Maharashtra has continuously placed Maharashtra in first position in India for the highest productivity, economics performance, business efficiency, government efficiency, infrastructures and overall competitiveness. From its inception, the corporation is continuously working on the policies with would result in Economic lift of the country be it through domestic Or International market. Many Incentive policies are timely introduced by the corporation. Progressive Government taking measures to facilitate industries in generating revenue is what the state is working at. Maharashtra Industrial areas are divided into 5 zones A,B,C,D & D+ depending on the availability of Industrial Infrastructure. A (Developed areas) Mumbai, Pune, etc. B (Less developed than A) Alibagh, Dhanu, Nashik, etc. C (Less Developed than B) Bhivandi, Ratnagiri, Baramati, etc. D+ ( Less developed than D) Pithan, Barshi, Kagal, etc. No Industries Exist Gadchiroli, Hingoli, etc. Remittance Certificate from RBI is must before Allotment & at various stages of Investment. Minimum shareholding of the foreign entity should be 51%. The minimum paid up equity shall not be less than 25% of the project cost. The minimum investment for A, B & C area should be Rs. 20 Crs. or USD 4 million whichever is more. The minimum investment for other areas (D, D+, NID & Naxal affected etc.) should be Rs. 10 Crs. or USD 2 million whichever is more. For A, B & C areas the land rate per 1000 Sq.mtrs is Rs. 1 Cr. & other areas the land rate per 2000 Sq.mtrs is Rs. 1 Cr. 100% of the investment should come within 2 years from the date of possession with an extension of a year if the delay is beyond control. Before Allotment of land: Minimum to extent of land cost. Before approval of Building plan: Minimum 25% of proposed FDI. Before granting of OC/BCC: Minimum 50% of proposed FDI. Before commencement of project: 100% of proposed FDI. 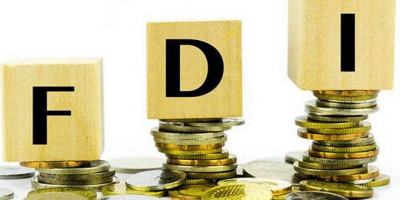 Land is allotted on priority bases in FDI, in case of default the penalty would be 25% of prevailing land premium per year after the expiry of period. Transfer of open plot will not be allotted, it will have to be surrendered to MIDC. In depth study for selection of location. Case representation to MIDC on behalf of the client.